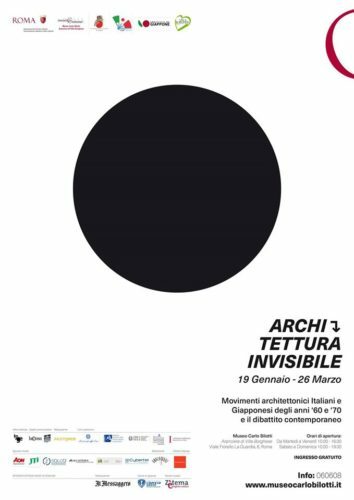 TOMMASOARCANGIOLIARCHITETTO is part of the exhibition “INVISIBLE ARCHITECTURE with the project “Diagonal” Office Headquarters, Leganes Spain, designed with 2A+P/A – Blurring Boundaries and Extension of Limits in Architecture.” that will open on 18th of January at Museo Carlo Bilotti. Curated by Rita Elvira Adamo the exhibition presents a comparison between the Italian radicals and the Japanese metabolists avant-garde. A second part of the exhibition collects a group of ideal successors. On show projects by: Arata Isozaki, Archizoom, Kiyonori Kikutake, Kisho Kurokawa, Fumihiko Maki, Otaka Masato, Superstudio, Kenzo Tange, UFO; and 2A+P/A, AlphavilleArchitects, DAP Studio, Sou Fujimoto, IAN+, Yamazaki Kentaro, Yuko Nagayama, O+H Architects, OFL Architecture, Orizzontale, Studio Wok, Tipi Studio.